Solution: Four of the boxes in the following periodic table are colored.Which of these are metals and which are nonmetals? 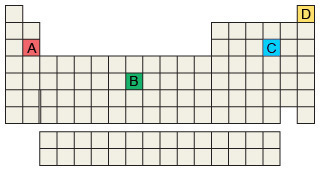 Four of the boxes in the following periodic table are colored. Which of these are metals and which are nonmetals?